An inspired oasis for the bold and playful. A place to retreat at the end of an exciting day. Inspire Old Town Scottsdale is made up of 97 modern residences complete with fresh, innovative design and thoughtful, quality construction. 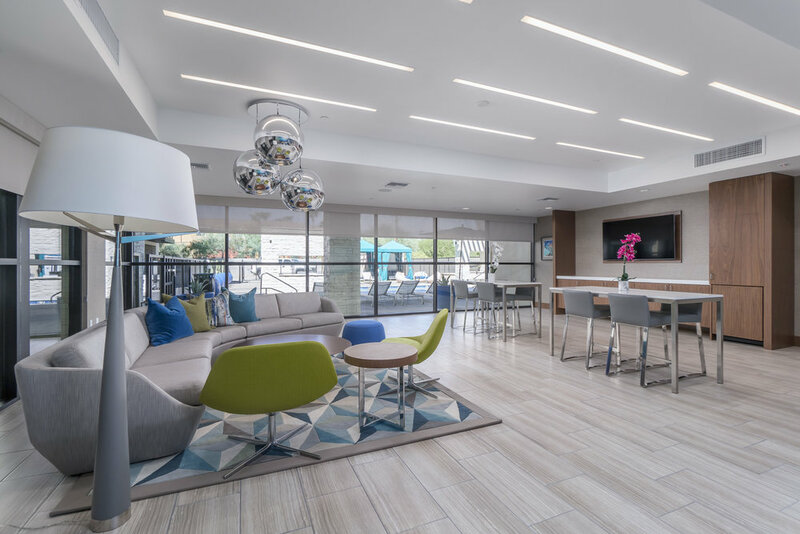 Pops of color and strong, minimalistic features add a whimsical sophistication to the community and its luxurious amenities. A premier location that's close to world-class dining, entertainment and culture in the heart of Old Town Scottsdale gives residents adventure at their fingertips. Find out about the features and furnishings we offer at Inspire Condos Old Town Scottsdale. Our knowledgable and experienced sales team is on-site 7 days a week, available for any showings, appointments, or questions.